In case of the EUR/USD currency pair an upward correction continues. Judging by the daily chart, the pair is moving inside the descending channel. By the moment the price has got very close to the channel’s upper border. The test of the trend’s descending line at the RSI is an additional signal to sell the pair, we should expect a rebound and the start of the descending movement. The target of the fall is the area of 1.2284. The next target will be the area of 1.1890. 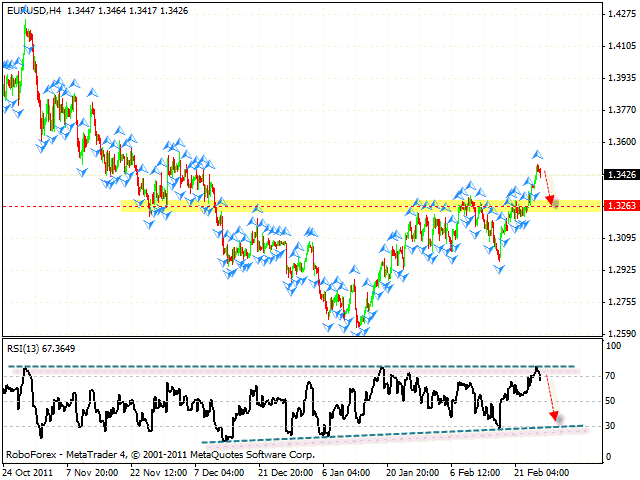 At the H4 chart the RSI indicator faced the resistance, we should expect it to rebound from the current levels. The target of the fall is the area of 1.3263. One can consider selling the pair with the tight stop. If the price tests the area of 1.3600, this case scenario will be cancelled. 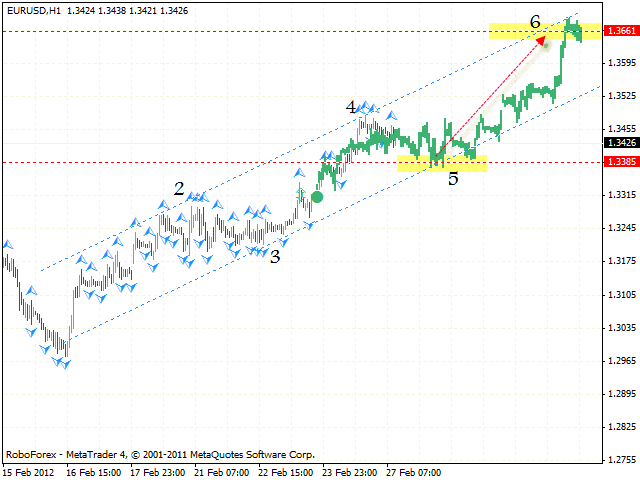 As an alternative scenario we may suggest a formation of the rising pattern with the target in the area of 1.3660. The area for sales is the 1.3385 one. However, if the price breaks the channel’s lower border, we will only recommend you to sell Euro. 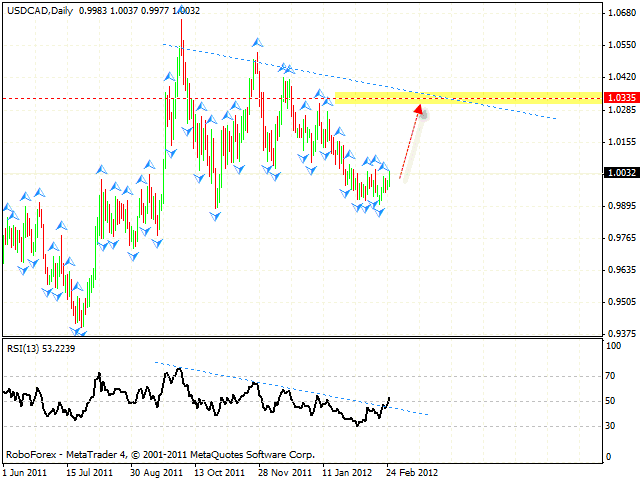 Pound has grown higher than we predicted, but faced the resistance from the trend’s descending line. 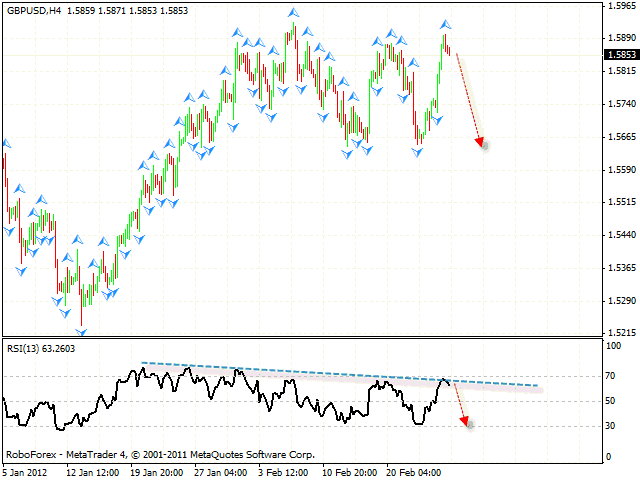 One can consider selling the GBP/USD currency pair with the tight stop, the target of the fall is the area of 1.5660. If the pair continues growing towards the level of 1.5940, this case scenario will be cancelled. New Zealand continues moving sideways, and the pattern, which is being formed right now, looks much alike “diamond”. The pattern is expected to be broken downwards, so one can consider opening positions in this very direction. 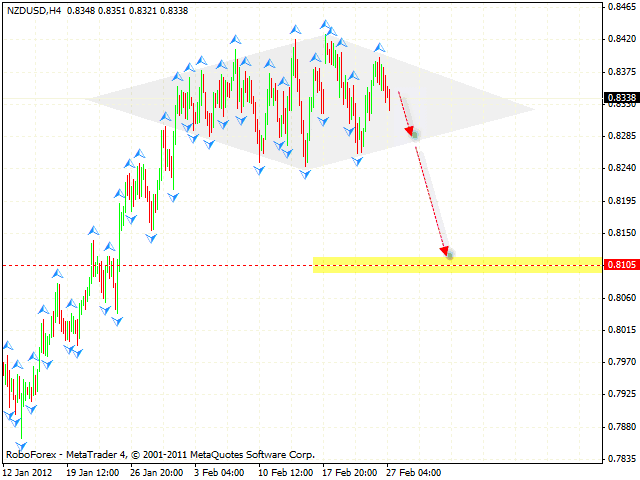 The target of the fall will be the area of 0.8105. At the daily chart Canadian Dollar has broken the trend’s descending line at the RSI, we should expect a rebound and the start of the rising movement. 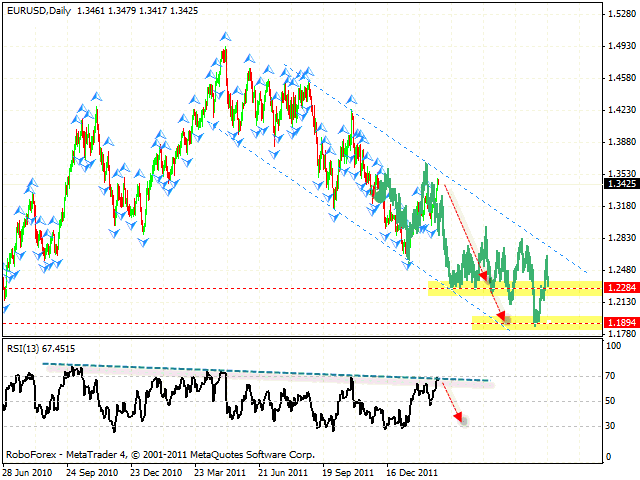 The target of the fall is the area of 1.0335, where one can consider buying the pair with the tight stop. 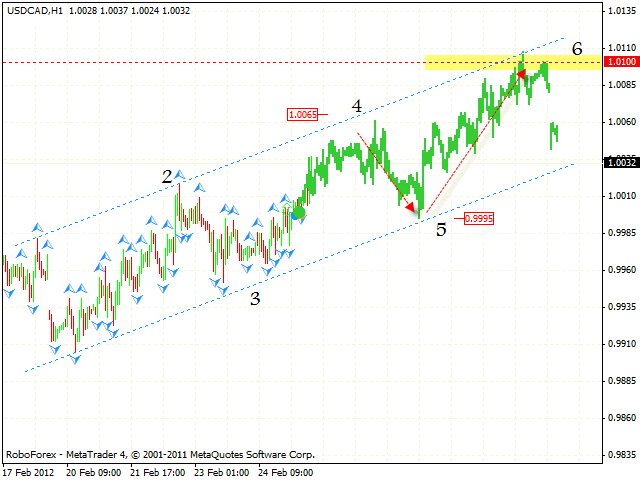 At the H1 chart we can see the formation of the rising symmetrical pattern with the target on the area of 1.0100. We should expect the price to test the level of 0.9995, where one can consider buying the USD/CAD currency pair with the tight stop. If the price breaks the channel’s lower border, this case scenario will be cancelled.